See https://medium.com/@nocnoc/cicd-for-flutter-fdc07fe52abd for introduction to Fledge. Automatically build, test, sign and release your Flutter app to both Apple and Google stores. Supports public and private build servers in the cloud (Travis, Cirrus, etc...) and in-house (Jenkins, GitLab, etc...). There are many steps involved each time an app, or an app upgrade, is delivered to both stores. Fledge exists to document and automate these steps. These variables are used for signing and uploading to both stores. 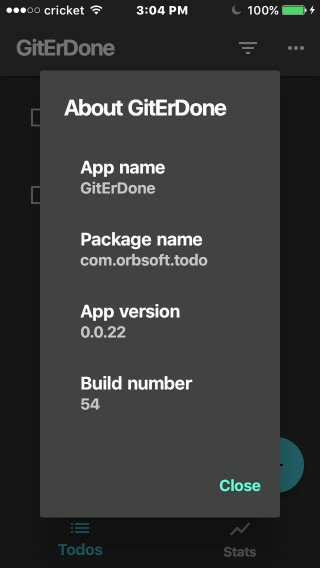 This will build your app, upload to both store consoles and release to beta testers. This will release the app to users. As with any mobile app, there are several one-time setup tasks (most of which you have to do anyway… even without a CICD tool). To avoid having to gather together all the bits and pieces of information required to deliver a Flutter app, the Fledge project has created complete documentation to walk you thru all the setup tasks for the more common scenarios. One of the reasons the Fledge projects exists is to document these one-time setup tasks and progressively automate them where possible (and then remove from documentation). 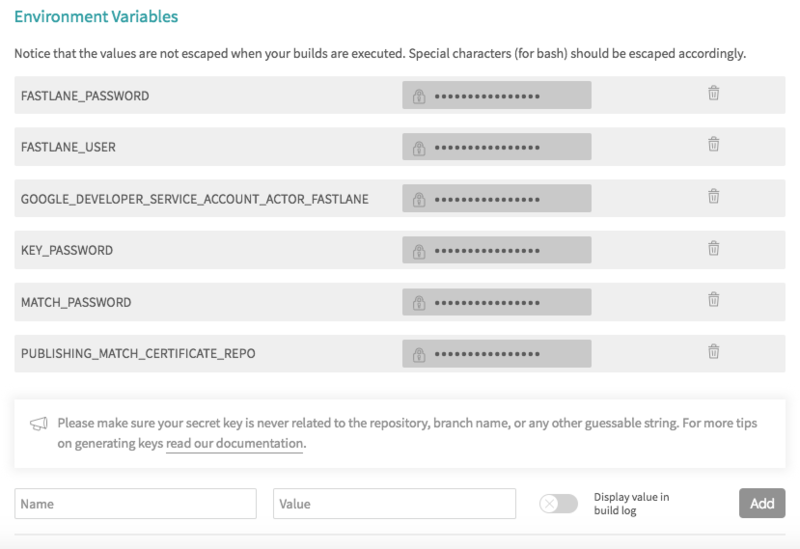 View the documentation site for complete usage and configuration information. For a demo of Fledge in action see: https://github.com/mmcc007/todo. Links are included to view the pipeline on Travis that delivers betas and releases to both stores. The demo app was delivered automatically to both Google and Apple stores using a Fledge pipeline. 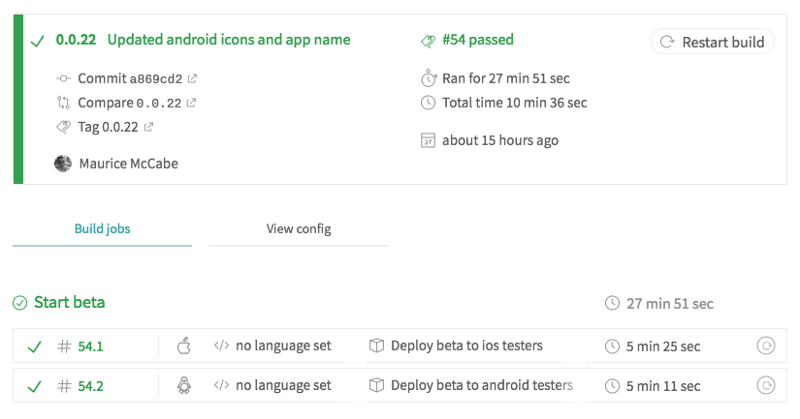 This feature allows you to track what version of your app is running on any device. Useful for support and bug-fixing. To use the Fledge trace-back feature, tap on the app title 'GitErDone' to view the 'About'. Fledge is distributed by an MIT license. When contributing to this repository, please feel free to discuss via issue or pull request. Your feedback is welcome and is used to guide where development effort is focused. So feel free to create as many issues and pull requests as you see fit. You should expect a timely and considered response. Fledge is committed to fostering a welcoming community. Allows Fledge to run on macOS, Linux, and Windows. Added example app demoing integration to build server. Demo runs on travis, and can run on other build servers. Primary library: package:fledge/fledge.dart with components: io, isolate. line 34 col 3: The class 'Future' was not exported from 'dart:core' until version 2.1, but this code is required to be able to run on earlier versions. line 71 col 1: The class 'Future' was not exported from 'dart:core' until version 2.1, but this code is required to be able to run on earlier versions. line 80 col 1: The class 'Future' was not exported from 'dart:core' until version 2.1, but this code is required to be able to run on earlier versions. line 676 col 5: Future results in async function bodies must be awaited or marked unawaited using package:pedantic. line 866 col 3: Future results in async function bodies must be awaited or marked unawaited using package:pedantic. line 867 col 3: Future results in async function bodies must be awaited or marked unawaited using package:pedantic. 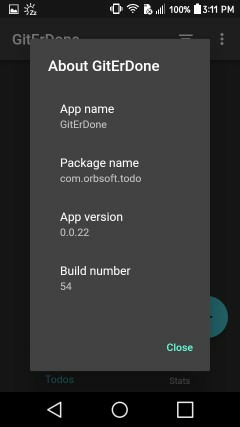 CICD for Flutter. Automates build, testing and signing on a number of supported build servers. Automates upload to Google and Apple stores for beta testing and full release.